Finding the perfect souvenir is at the top of every traveler’s to-do list and Alaska is a great place to do just that. While visiting the Last Frontier, you will find unique souvenirs that celebrate the unforgettable landscapes, incredible wildlife and rich, enduring cultures of the state. While there are mainstay souvenirs like the ulu, a traditional, Native Alaska knife found in just about every gift shop in the state (don’t forget to pack it in your checked luggage on your way home! ), Alaska boasts many one-of-a-kind gifts as well. Here’s a look at some of our favorites. 1. 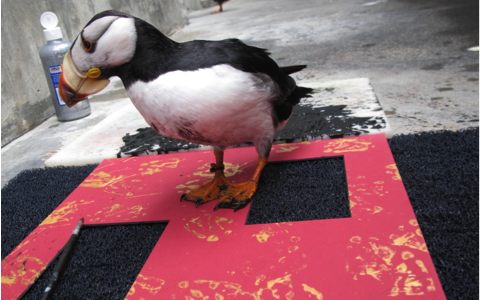 Puffin Paintings: The quaint, seaside town of Seward is the perfect day-trip from Anchorage and the Alaska SeaLife Center is a must-see on the itinerary. Learn about marine life conservation, meet the center’s residents and explore the gift shop where you can purchase unique artwork, painted by some of the center’s feathered friends. 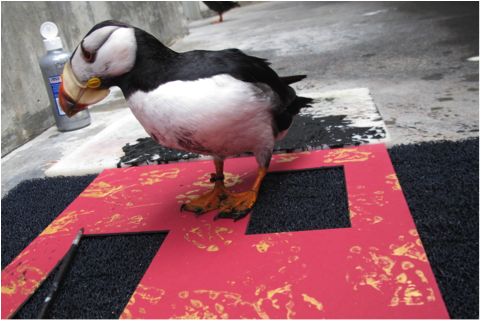 Painting is an enrichment activity for the puffins and all of the profits from their “masterpieces” directly support the nonprofit’s avian department. Learn more at http://bit.ly/1DFda62. 2. 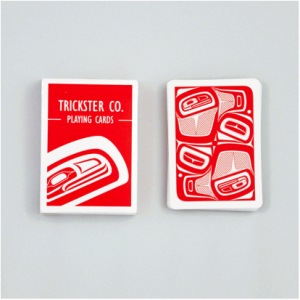 Trickster Company playing cards: Juneau-based Trickster Company lets you take indigenous artwork home with this deck of cards designed by Rico Wori, the company’s Tlingit/Athabascan founder. From exquisite, handmade jewelry to intricately designed skateboards—the product that first put this company on the map—Trickster Company promotes innovative indigenous design that celebrates the culture of Southeast Alaska. Shop in the company’s downtown Juneau store at 224 Front Street or browse online at trickstercompany.com. 3. 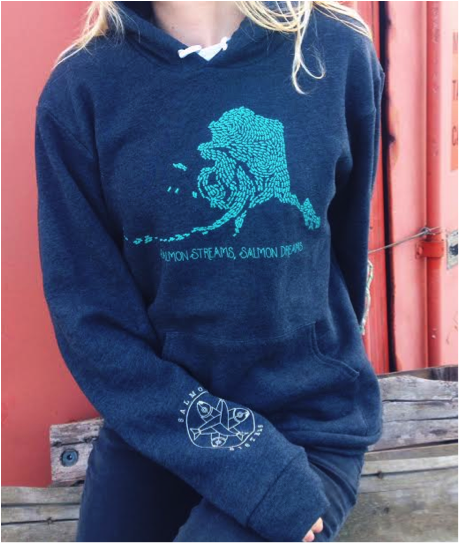 Alaska brand clothing: All across the Last Frontier, you can find local clothing brands that reflect the state’s laid-back, outdoor style. Pick up a sweatshirt designed by the Homer-based Salmon Sisters, two Alaska sisters who also catch premium wild salmon and halibut in sustainably managed fisheries. Or bring back a hand-knitted hat made by Kittiwake Designs, an Anchorage-based company that uses local yarn and original patterns. AK Starfish Co. also carries a wide selection of clothing and souvenirs printed with Alaska-themed designs, including wild salmon, ravens, starfish and wildflowers. 4. 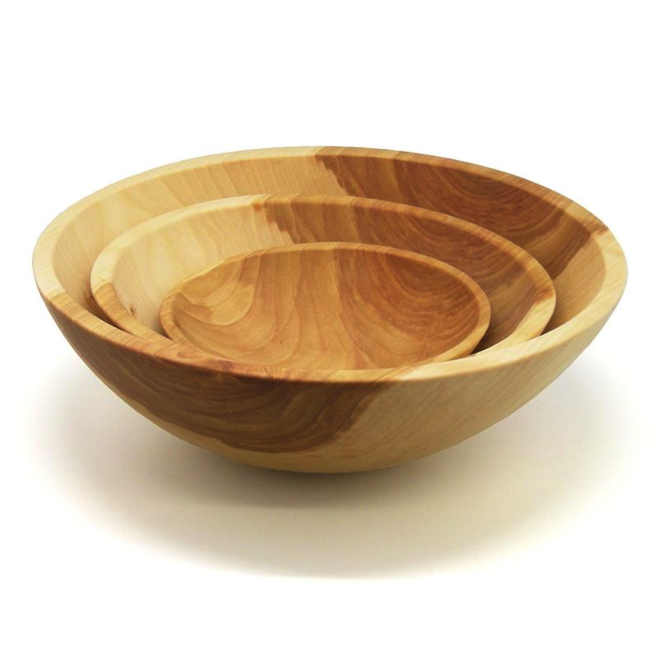 Birch bowl: A staple in nearly every gift shop, Alaska birch bowls are a beautiful way to literally take a piece of Alaska home with you. These bowls can be used for serving or décor and some manufacturers even allow visitors to watch as craftsmen make the solid, hardwood bowls from a single split birch log. These bowls are truly a one-of-a-kind gift that can be enjoyed for years. 5. Edible gifts: We might have saved the best for last! Alaska offers a wide range of delicious souvenirs that are sure to please any foodie’s palate. 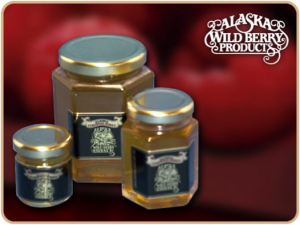 Bring home a jar of Alaska Wild Berry Products’ locally made fireweed honey or wild blueberry syrup. Or try one of the mouth-watering offerings from Indian Valley Meats, such as wild Alaska smoked salmon or reindeer jerky. The majority of edible gifts found in souvenir shops are local, preserved and easy to pack. Bon appétit!